The future is bright for the CALS Class of 2017. 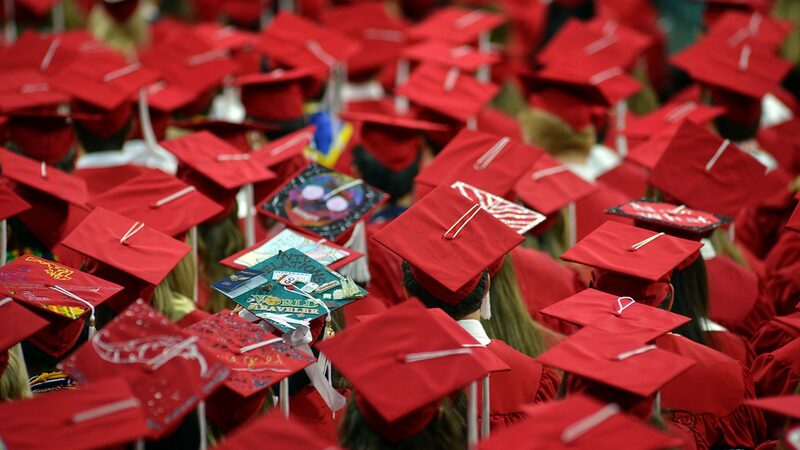 Nearly 700 undergraduate, graduate and Agricultural Institute students will turn their tassels this weekend. Not to mention 16 students who share the distinction of being named class valedictorian. They’ve worked hard, made sacrifices and logged countless hours in and outside the classroom to earn a CALS degree — and the endless opportunities it brings. The eight extraordinary grads featured below are just a small sample of myriad CALS students who are dreaming big, accomplishing great things and embarking on new adventures, ready to make a difference. Congratulations, Class of 2017! The world awaits. 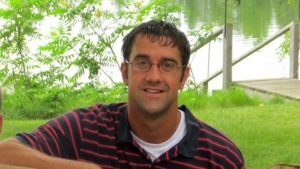 After hearing Agricultural Institute (AGI) Director Beth Wilson speak to his high school class, Aaron Blackmon knew it was the place for him. And in just two years, this soon-to-be AGI grad has accomplished more than he thought possible. His biggest accomplishment at NC State was becoming an AGI ambassador, he said, because it redefined his leadership skills. After graduation, Blackmon plans to pursue a bachelor’s degree in agricultural education. He says the Agricultural Institute prepared him for his future in a number of ways. As excited as he is for the next step in his journey, Blackmon says he will miss everyone at AGI, from his peers to the faculty and staff. 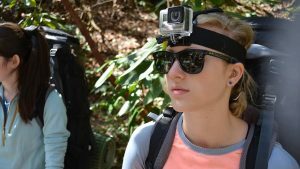 “After attending an information session for the Department of Biological and Agricultural Engineering … I realized it offered exactly what I wanted to learn,” says Harris. When Jeremy Howard was searching for life direction, he turned to one of his favorite childhood memories: working on his grandparents’ swine farm. “Agriculture, and in particular the swine industry, has played a huge part in where I am today, and what motivates me to get out of bed in the morning,” he said. Howard was dubbed “the poster child of what a Ph.D. student should be” by one of his animal science professors for his diligence, keen insight and “instrumental” guidance with graduate students. 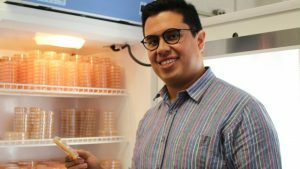 This week, days before collecting his doctorate, some of Howard’s collaborative research was published in Scientific Reports – perhaps the first study to highlight genetic differences in drug metabolism in livestock, according to his faculty mentor, Associate Professor Christian Maltecca. His other major research took Howard to Australia, examining the genetic differences between Australian Jersey dairy cows and those in the United States. His goal: provide farmers with software tools to reduce the amount of time and expense spent on low-performing offspring. After graduation, Howard will pursue post-doctoral work at the University of Nebraska-Lincoln, primarily focusing on swine genetics. Values he learned on his grandparents’ farm are his compass, Howard said: a sense that the workday isn’t over until all tasks are complete, and that even unglamorous tasks can be made worthwhile with the proper perspective. “Although I may not have as much of a hands-on feel to the industry as I used to have, doing research that benefits the industry keeps me motivated,” Howard said. Cory Levings graduates with the Class of 2017 as a double major in agricultural business management and agricultural science. She cites her family, her faith and her professors for helping foster her education and desire to learn. Levings says she believes CALS has “some of the best, most caring, most dedicated professors.” She specifically remembers David Jones’ leadership classes and how he was able to push her to learn more about herself and how to interact with others. 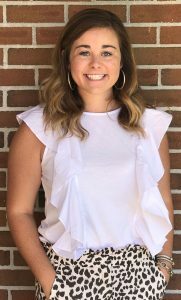 During her time at NC State, she won the AEE Scholastic Achievement Award and Outstanding Scholastic Achievement Award for Agricultural Business Management. Levings says she believes all the long study hours and sacrifices she’s made have been worth it to get her to this point. After an internship with Little Creek Hog Farms in Ayden, N.C., this summer, Levings hopes to pursue a career in the swine industry. Alli Nickell’s passion for nutrition science – and part of her motivation to become a doctor – is rooted in family. After turning her tassel this weekend as a valedictorian of the class of 2017, Nickell will prepare for a move to Virginia to attend Edward Via College of Osteopathic Medicine. She plans to pursue family medicine in rural and underserved areas. 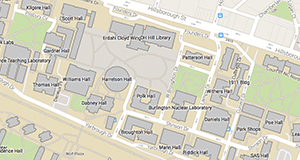 Her accomplishments as a student in the Department of Food, Bioprocessing and Nutrition Sciences (FBNS) are many. She was president of the Nutrition Club, recipient of the Nutrition Club Scholarship, and recipient of the James E. Stroupe Scholarship established by the NC State Alumni Association. 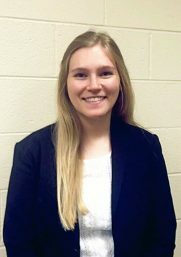 Nickell also completed an undergraduate research project as part of the CALS Honors Program and was a member of Alpha Epsilon Delta Pre-Medical Honor Society and the Student Alumni Association. Blake Oakley has a passion for plant biology that blossomed when he joined FFA in high school and has flourished at NC State. Here, he’s distinguished himself as a leader both in the classroom and in the laboratory. At graduation, he’ll be honored as a valedictorian as he receives a bachelor’s degree in plant biology with minors in horticultural science and anthropology. 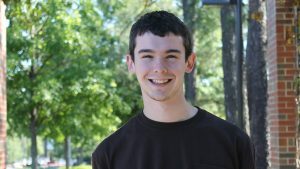 He’s received several scholarships — one from the Alamance County Farm Bureau, and three from NC State: the Larry A. Whitford Botany Scholarship, the CALS Alumni & Friends Society Scholarship and the Robert N. Wood Agricultural Scholarship. Oakley got hooked on research during his sophomore year, when he worked in Terri Long’s lab on a study related to iron homeostasis in plants. From there, he took a summer research internship at the Donald Danforth Plant Science Center in St. Louis. His award-winning efforts to characterize the antifungal action of a particular plant protein opened the door for him to attend a National Science Foundation research symposium and led to co-author credits on a paper. “That project opened my eyes to the field of plant pathology and how we can engineer disease resistance to various plant pathogens, including fungi,” he said. He hopes to conduct related research at the University of Georgia, where he’s won a fellowship to pursue a Ph.D. Though he’s not sure what he’ll do after that – his goal right now is to become a university faculty member or work in private industry – he’s confident that the field of plant pathology is right for him. As a master’s student in plant pathology, Camilo Parada Rojas has not only helped North Carolina vegetable farmers manage a devastating plant disease, he’s given scientists a better understanding of the soil-borne pathogen that causes the disease. Phythophthora capsici is a fungal-like pathogen that causes crown and fruit rot on a variety of crops. Under wet conditions, infected plants wilt, then die. Shortly after Parada came from Colombia to NC State to work with plant pathologist Lina Quesada Ocampo, watermelon, peppers and squash farmers incurred heavy losses due to the disease in an especially rainy growing season. He quickly collected samples from different farmers’ fields and analyzed the pathogen’s genetics, finding that characterizing local populations is key for managing the disease. That’s because isolates have different responses to tolerant varieties and fungicide applications, he explained. At some farms, Parada also was able to determine that the disease was contaminating irrigation water. In those cases, he provided growers with information about management practices that cut their losses substantially. After graduation, Parada will apply many of the skills he learned under Quesada’s tutelage as his pursues his next goal: a Ph.D. focused on black rot, an emerging sweet potato disease. A double major in poultry science and science, technology and society helped Kylie Williams develop flexibility and creative thought alongside scientific know-how during her time in CALS. Her undergraduate research examined broiler production since the early 20th century and the development of antibiotic use in the industry. She integrated the consumer experience and industry response to criticism with the research of antibiotic alternatives and other forms of poultry production. Williams’ fascination with poultry began in high school, when she researched housing and nutrition in order to start her own flock of backyard chickens. Her high school FFA advisor, who gave her several breeds of chicks for her starter flock, was a CALS poultry science alumnus — and the rest is history. 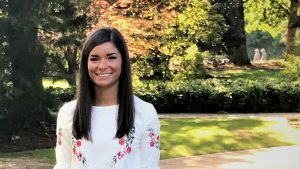 After graduation, Williams has an internship lined up with an animal pharmaceutical company in Research Triangle Park, with a goal of continuing to pursue her study of poultry science in a master’s degree program.